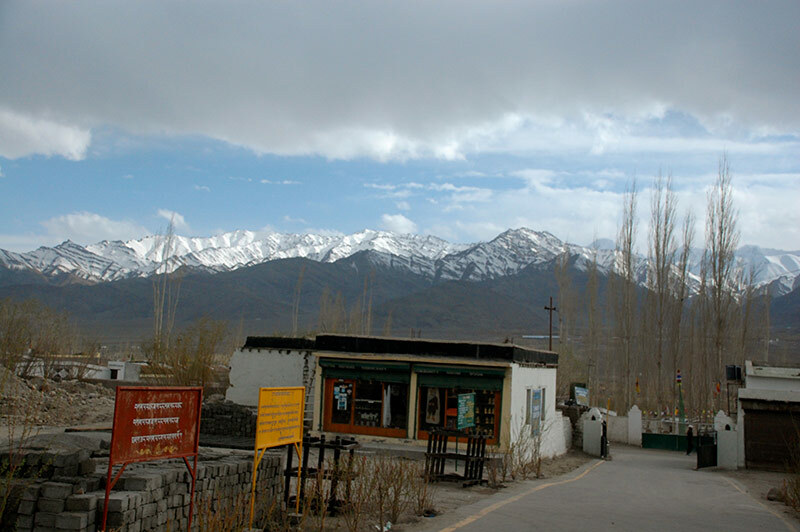 The Sonamling Tibetan Settlement in Leh, Ladakh was established in 1960 and comprises of about 7,000 people and a magical view of the horizon that is laced with the magnificent and snow-capped Himalayas. There are 12 Tibetan camps in the Leh area and 9 nomadic camps in remote areas, making a total of 21 camps in the Sonamling Settlement. 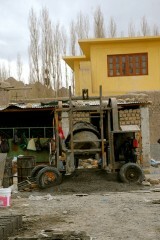 The main occupation in the Leh camps is labour, small businesses and driving taxis. 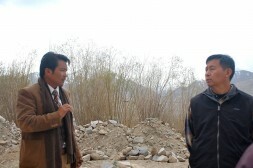 The educated youth are employed as teachers and officers in the various departments of the settlement. There is a TCV school that provides free education for all students and boarding facilities for those from farther camps. 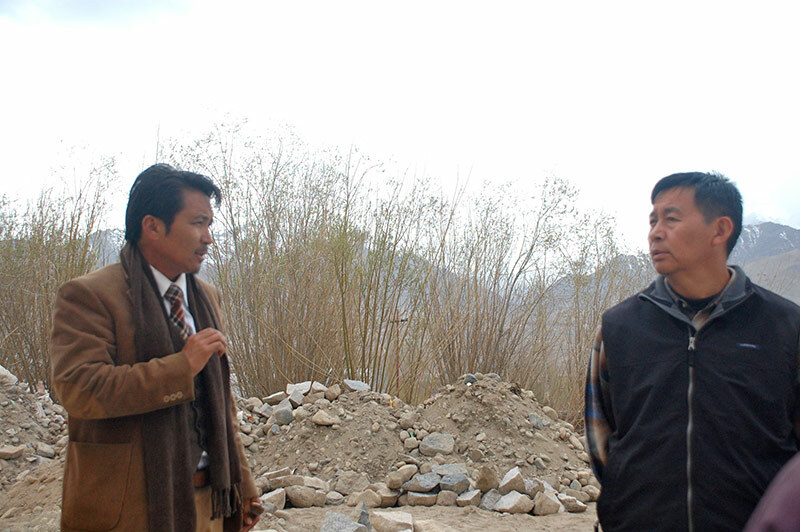 I met the Chief Representative Officer, Mr. Dhondup Tashi in Leh, to discuss the construction of a new multi- purpose hall for the community. He is by profession an economics lecturer and is the first elected CRO from the area. He is an enthusiastic, earnest and innovative leader who believes deeply in the preservation of Tibetan culture and in the upliftment of his fellow people in exile. Until recently, the place of gathering for the community has been a hall in the TCV School, which had worked well for a while, as the school did not often use it. The hall could be used only before and after school hours and on Sundays. However with more community activities and the increasing use of the hall by the school, it has become difficult for the community to gather under one roof. Though official work could be arranged in this hall, social gatherings were becoming harder to organize there. Multi-purpose encompasses several uses – meetings, seminars, religious activities and social gatherings. Following the advice of His Holiness on Modern Buddhism, the community is holding more and more discussions, seminars and conferences. Workshops for the promotion of morals in modern society, specifically designed for youths are becoming more frequent. There exist 8 NGOs in the settlement who organize several activities as well. Social gatherings like marriages and Buddhist festivals also require more space. The cultural troops from Dharamshala visiting each year to promote Tibetan culture may be added to the long list of events taking place in the community. The weather in Ladakh does not permit outdoor gatherings for most of the year. Therefore when His Holiness the 14th Dalai Lama visited the settlement in 2012, he agreed to donate funds toward the construction of this hall. 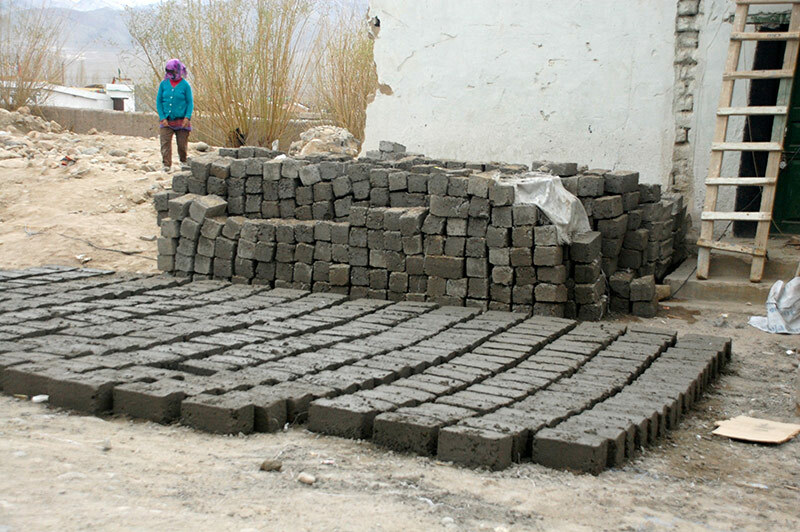 The construction of the building began on the 3rd of April 2013 and when we visited roughly 10 days later, the foundation was nearly complete. The building is expected to reach completion by October of 2014, however the community is more optimistic and hopes to have it finished by the summer of 2014. The hall would tentatively hold 3,000 to 4,000 people at 120 x 150 feet. The community is excited about this new space and is coming together to help in whatever manner possible- as labour or by making small donations of their own towards the construction. A committee of eleven people is responsible for the planning and these people are all employed and working individuals who tirelessly contribute to the project without pay and on their own time. It is important to point out that a community in exile benefits greatly from being closely knit so that they may preserve their culture, draw support from their neighbours and have an open forum to discuss the Tibetan cause. As for the maintenance, some income needs to be generated to keep the hall in good condition. As the Central Tibetan Relief Committee is not permitted to engage in commercial activity, the co-operative society will be charging a token fee for hiring the hall in order to garner enough income for running and maintaining the hall so that the community can gather and strengthen their bonds.